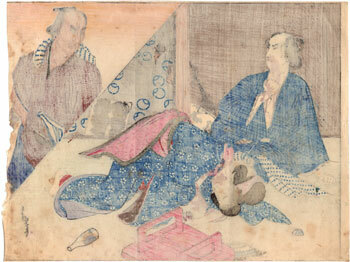 In this very rare polychrome woodblock print we see a subject really unusual for a print of the kuchi-e (口絵) type. 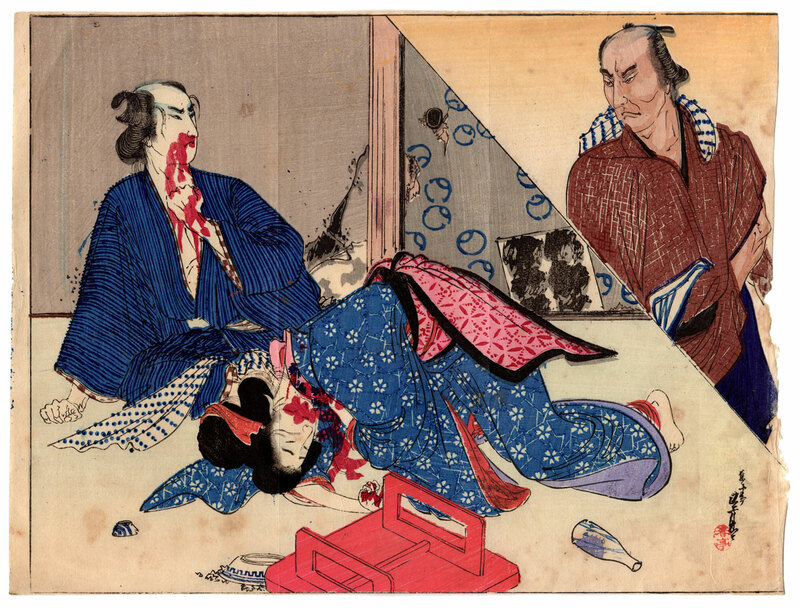 The tragicalness of the scene moves away indeed from the typical delicacy of the genre and, with the bloody representation of this double murder by poisoning, we feel rather transported towards the typical traits of the traditional violent images muzan-e (無残絵). 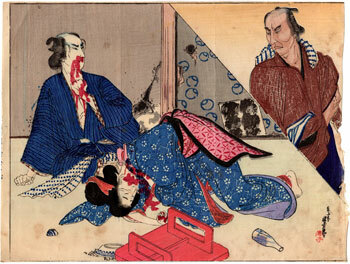 The work, probably made around 1910 as an illustration of a novel, is signed by an artist who uses the pseudonym Shuntei (春亭), also used by several members of the Katsukawa school (勝川派). The print on Japanese washi paper (和紙) despite the obvious signs of aging is in good general condition.